Not to beat you up, but that is NOT NYC style pizza. As one person put it, it is just a national chain that is model to be "New York Pizza". 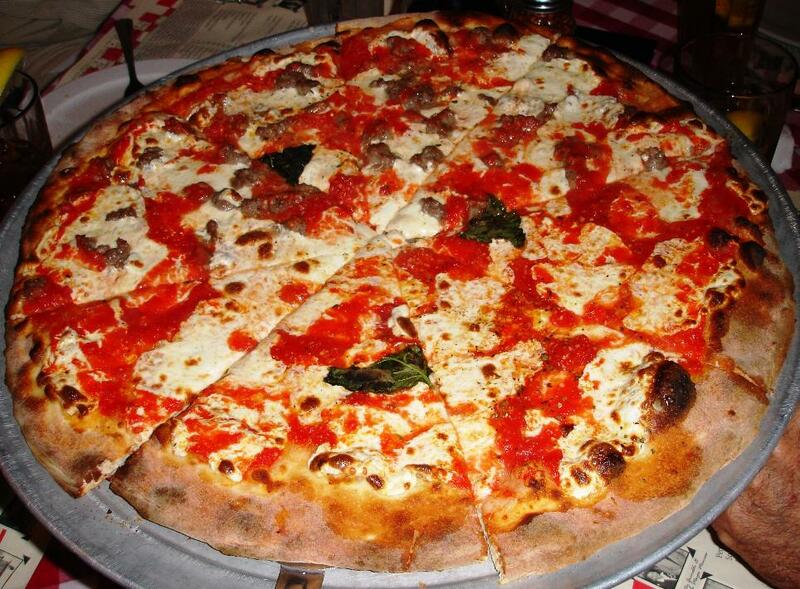 Now THAT is real NYC pizza. Who f'ing cares as long as it tastes good -- which is anywhere between Chicago and New York, north of I-70. How often do we have to do this topic? There's some great Chicago thin crust pizza places out there. Anybody ever try the italian beef thin crust? I remember many a Monday night, riding home at 4am with a Chicago dog in hand leaving the House joint riding to some Felix Da Housecat. YouTube - New York has real "Pizza" Chicago? "Not !!!!" it's Deep Dish, "not Pizza"
I'll take either one, I want a snack right now. Heh... Chicago-style stuffed/deep-dish ain't for snackin', It's for mealin'. That's when you know you've found a good place -- it's like a calling card!